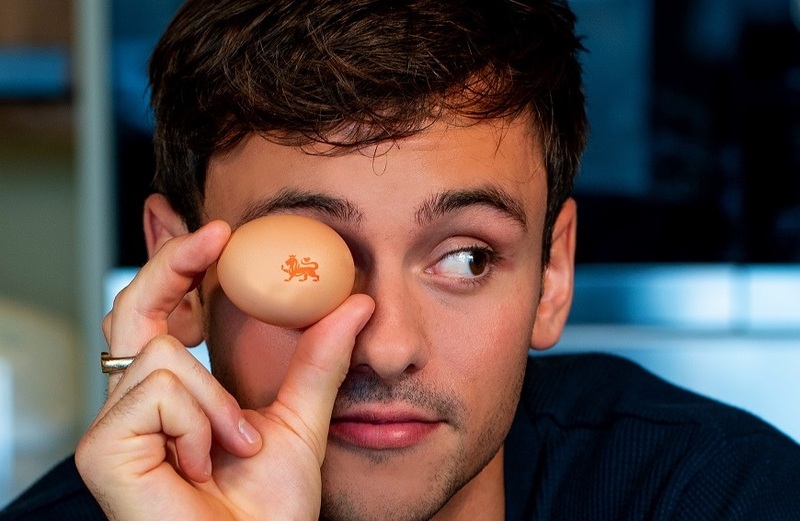 British Lion eggs has signed up double World Champion Tom Daley as part of a £1m+ marketing campaign for 2019 to drive the continued growth of egg sales and increase awareness of the Lion. The #WonderEgg campaign has been designed to increase the visibility of the Lion, communicate the FSA advice that runny eggs are safe for vulnerable groups, as long as they are Lion, and tap into the nutrition, health and versatility benefits of eggs. Popular professional diver Daley, who has a social media following of 7 million, is spearheading the #WonderEgg programme. His natural interest in a healthy lifestyle, including his new experience as a dad and the publication of two cookery books, means Daley is ideally placed to influence a wide range of consumers. Further ambassadors, partnerships and experts will be announced throughout the year with a focus on millennials and vulnerable groups, across retail and foodservice, as well as the care home community. The campaign will also maximise seasonal and calendar opportunities year-round across traditional and digital media. The campaign is being launched simultaneously with an updated Lion Code of Practice. Regarded globally as the most successful food safety scheme, the Code has been future-proofed with new and improved auditing to ensure it withstands continued scrutiny and maintains the highest standards for the UK’s growing band of egg consumers. Andrew Joret, Chairman of the British Egg Industry Council, said: “Egg sales continue to soar, driven by younger consumers, barriers to consumption have been removed, consumer confidence in the nutritional benefits of eggs is on a high, and there is room in the market for growth.